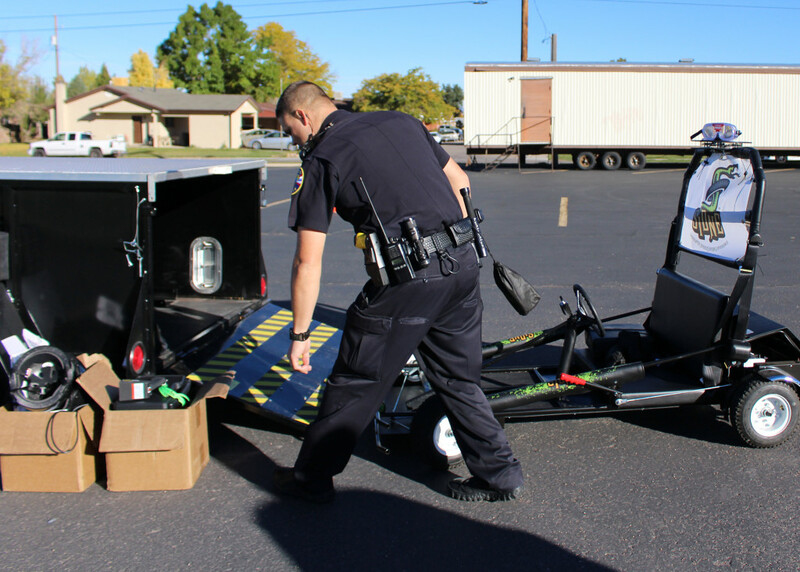 CEDAR CITY – Twenty-three Cedar High School students learned first-hand about the dangers of driving impaired Friday when each of the school’s law enforcement class students took turns driving SIDNE – a Simulated Impaired DriviNg (sic) Experience vehicle. 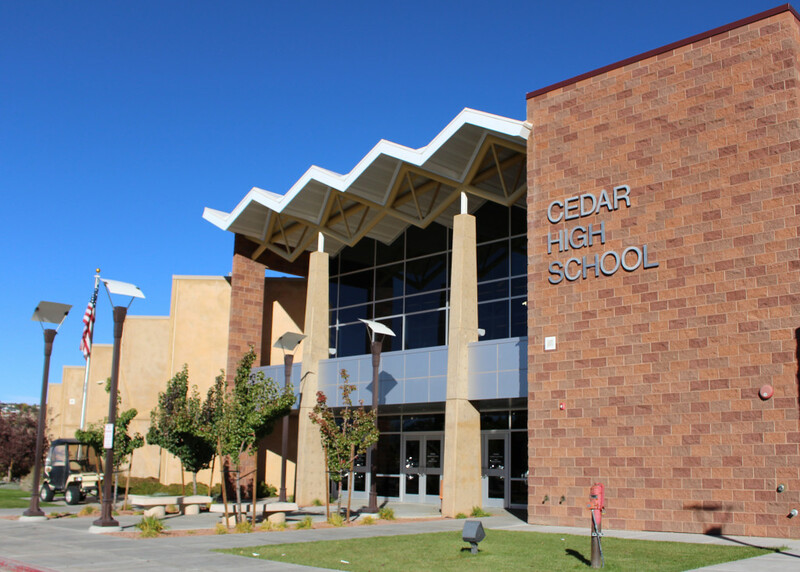 With the sun barely peaking over the top of Cedar Mountain to the east the excited teenagers lined up along the prearranged course single file to await their turn to wear the “beer googles” and drive SIDNE around the track – or at least make their best attempt. The slight chill to the fall morning air was brisk, causing the patiently waiting teens to dance back and forth maintaining their body warmth until finally landing in the driver’s seat. Two by two they took off, clumsily knocking into the miniature orange cones that made up the parking lot course, sometimes dragging them along for the ride. The three officers there facilitating the exercise, School Resource Officers Justin Chappell and Jordan Smith and Sgt. 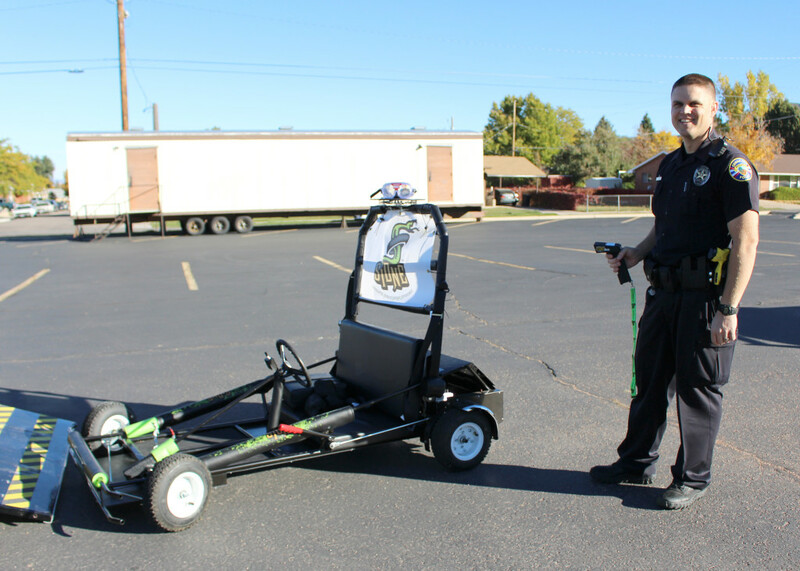 Jerry Womack, who all work for the Cedar City Police Department, chased cones and dodged students resetting the course as the kids would mow them down – one, two, sometimes three at a time, before wiping out. 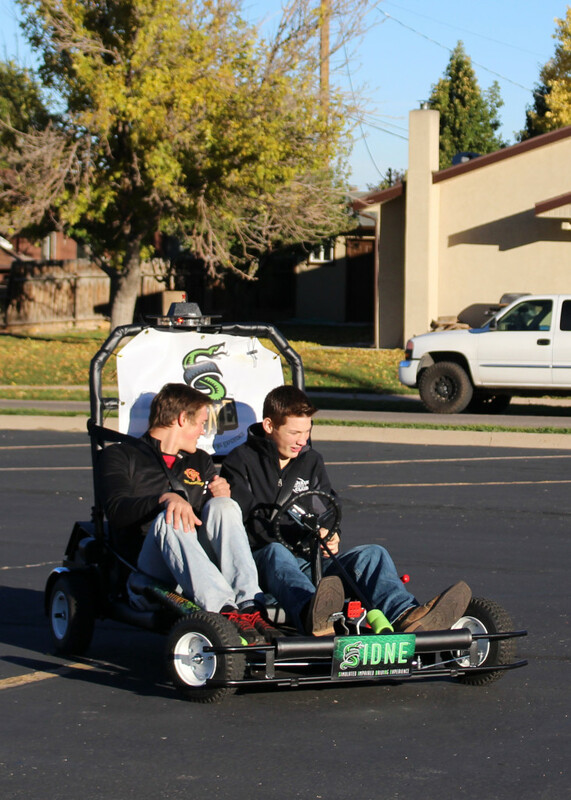 The idea is to give the kids an experience in a safe environment that will show them what it feels like to drive impaired without them actually being impaired, Womack said. The experience is a valuable one for them to have, because it gives them a chance to know what the limits are, he said, and hopefully deter them from drinking and driving in the future. Drinking alcohol is not the only way to be considered driving under the influence, Chappell said. Basically anything ingested that would impair reasoning or motor skills before driving would be considered a driving under the influence charge. The students in the law enforcement class were probably among those who were at the lowest risk for this type of behavior, Womack said, but the experience also gives them an opportunity to prepare for what patrolmen often encounter in case they chose a career in the field. 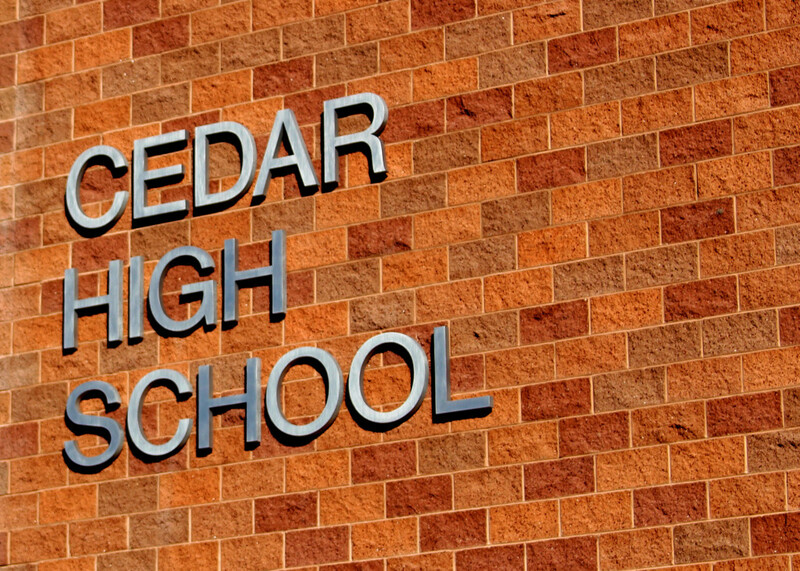 Two Cedar High seniors, Wade Roche and Jace Roundy, both 18, said they were definitely considering a future in law enforcement – an idea that became appealing, they said, after exposure to a multitude of television crime dramas growing up. The class has been a lot of fun so far, they said, and they have learned so much more than they ever realized about the law and how things work from a law enforcement perspective. 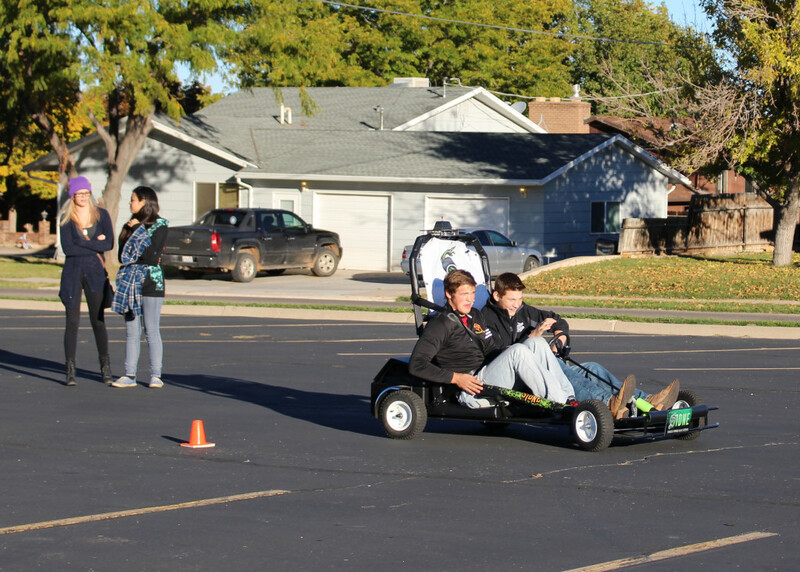 In order to prepare the students for Monday’s excursion, Smith said, the previous class was spent talking about DUI procedure, trying on the “beer goggles” – which come in varying strengths and degrees of impairment – performing field sobriety checks. Someone Roche knew made the choice to drive after drinking once, he said. The results were not the best. This happened in a rural area of the community, he said, so law enforcement didn’t become involved like they would have been if it happened in town. 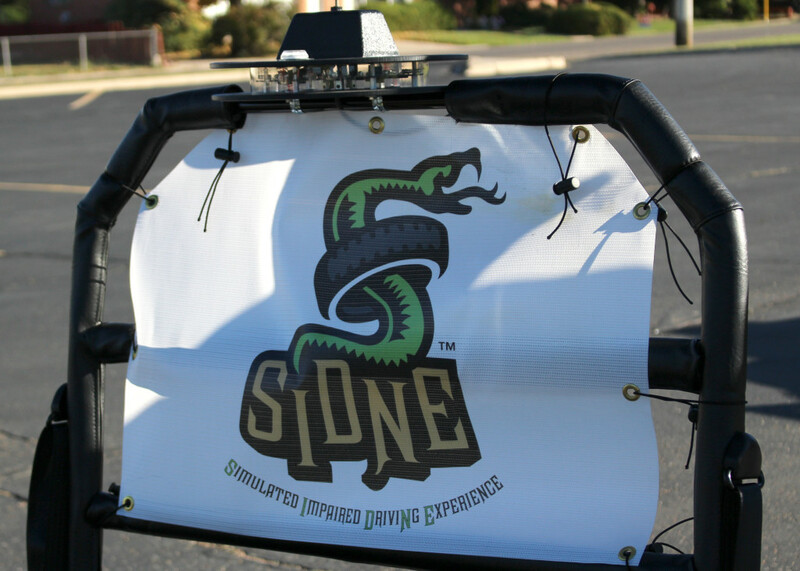 If he could think of any one lesson to take away from his SIDNE experience, Roche said, it would be not to drink and drive, because it’s just not worth it.